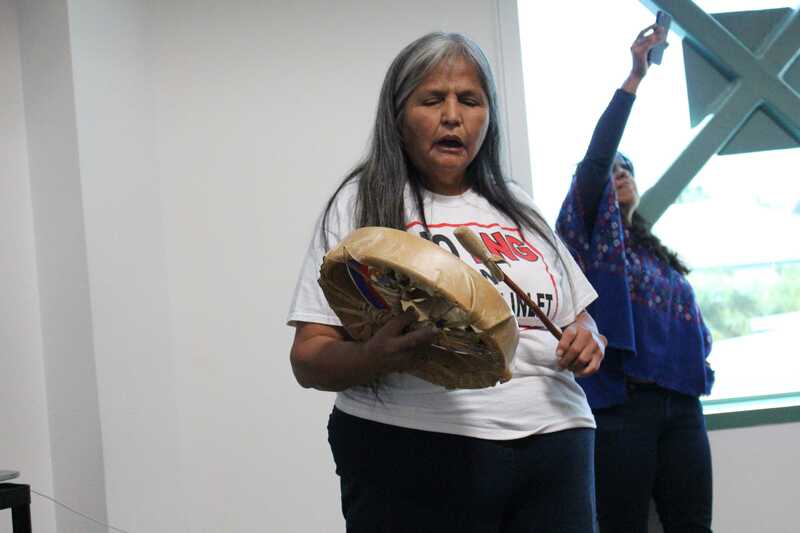 On Tuesday, the day after Columbus Day, a group of activists from different parts of Central America and Canada came to CSUN to speak about how they believe indigenous people’s rights are being violated. Columbus Day is considered by many indigenous people to be one of the most controversial observance days in United States history. Many cities throughout the country are officially recognizing the second Monday in October as Indigenous People’s Day rather than Columbus Day, the most recent being Phoenix, Ariz.
One of the speakers, a Native American woman by the name of Rose Henry, spoke about how she had met indigenous Native Americans in Canada who were being denied access to clean water, which she believes is a basic human right. 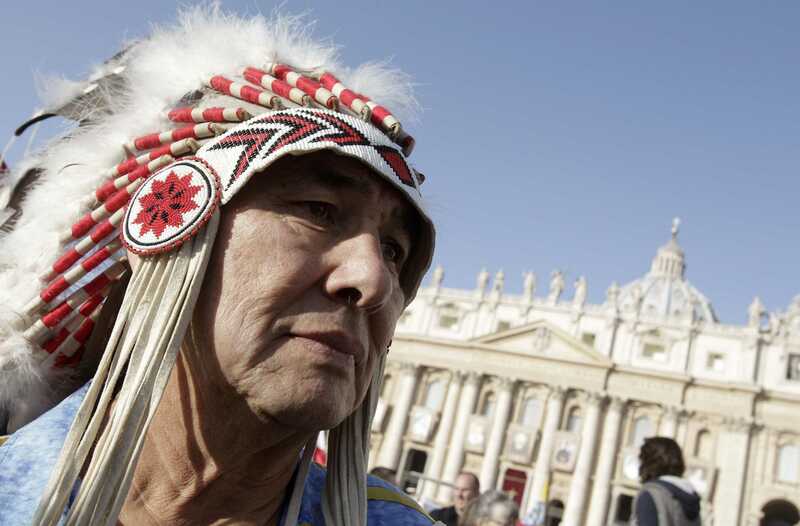 Henry also said the water in many indigenous communities in northern Alberta have been polluted by tar sands and the pipelines installed to extract it. According to Henry, in many communities, water is being used to pump toxic chemicals through the pipeline. Based on the speeches given by this group of activists from Northern and Central America, it is clear the health and environment of indigenous people are some of their greatest concerns. Another speaker, a man from Honduras by the name of Alfredo Lopez, spoke about how developmental and military aid is being sent by the U.S. to his home country in disguise of humanitarian aid to promote industrial development . In his view, this is an example of colonialism that is not unlike what Christopher Columbus did in his day. A third speaker, a man from Panama by the name of Feliciano Santos, described a similar situation occurring in Panama where foreign industries are displacing and disrupting indigenous people and their culture. “Hydro-electric companies are coming in and displacing many people, specifically indigenous people,” Santos said through an interpreter. Santos described this phenomenon of industrial development as an invasion and a violation of the Panamanian constitution that states the duty of the country is to protect and provide security to the Panamanian people. Santos also said the military seem to be policing local indigenous people and forcing them off their land, so as to benefit the interests of industrial companies looking to develop. “The [Panamanian] government is only interested in companies generating revenue for the economy of the country without caring about the culture of the indigenous people living on that land,” Santos said. Santos also gave his opinion on Columbus Day which was similar to the other speakers of the day. “It’s a huge lie that Christopher Columbus discovered America because people were already here,” Santos said. By the end of the event, it was clear that many of the speakers were very critical of Columbus Day and felt it misrepresents American history. This is a perfect example of why we should stop all immigration. We don’t want to be replaced by others like they were. That is the most wise lesson from these so-called natives. Another is that you can attack and kill (and torture) those who are invading your country. We should embrace these lessons from these wise people…. So it complain about Columbus Day, but then promote Open Borders and have “refugees” not vetted come here illegally…makes so much sense of a “change”…. It is hard to believe that any credible scholar of American history will approve this over-vilification of the great explorer Christopher Columbus. Identity politics is now crackpot ideology. The historical significance of Columbus was the EUROPEAN discovery of America- what that meant for GOOD or EVIL to Western Civilization. Most of the misery of ” indigenous people ” in the centuries following was parallel to the misery of working class people on both continents during the so called ” industrial Revolution “, the rise of capitalism and the Age of Imperialism. Democratic socialists – guided by a scientific view of history -reject this phony ” identity politics ” view of history. Nothing is more ridiculous than this now effete, moralizing philistine view of the great explorer Christopher Columbus. It is being promoted by individuals with no quarrel with modern capitalism and the New Colonialism in the Middle East. President Andrew Jackson was also no friend of the indigenous people of America. Yet we still celebrate ” Jacksonian Democracy “. And honor Jackson on our currency . The American Indians did not have the sense of ” private property ” and ” individualism ” so characteristic of our capitalist master class. What can we really do for indigenous people today – except de-fang global capitalism and imperialism ? Build more casinos on Indian land ?